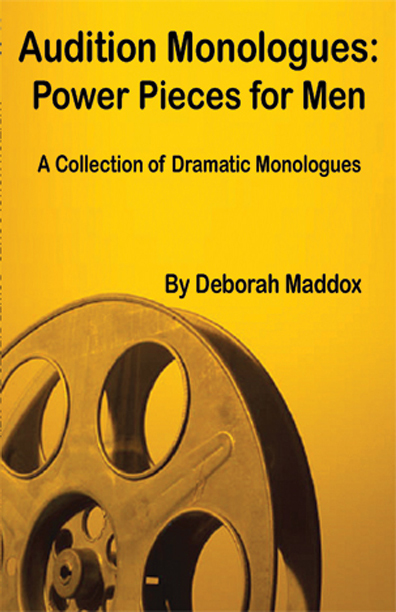 Audition Monologues: Power Pieces for Men provides strong, quality material for any audition. This collection offers over 60 dramatic monologues with unlimited character choices. Written for men 18 to 80+ years old, these monologues enable the actor to become the character in the present moment and project in the most effective way. A Man: Logical, self-indulging, anxious, successful, lazy, intoxicated, intriguing, loving, honest, manipulative, paranoid, driven, focused, weak, sexual, honorable, sensitive, deceitful, inspiring, self-centered, fearless, giving, ignorant, proud…he has many faces. You will find him in this book. He became a doctor to help save lives, but lately he has been treating terminally ill patients. It is all becoming a little overwhelming. He is a patient in a mental hospital. This birthday, all he wants is a baseball glove like Gary down the hall. What he doesn’t realize is that he is Gary. Watching his granddaughter get ready for her date brings back fond memories of his past. He begins to talk about the suicide of his daughter to a support group. As the pain starts to resurface, it becomes too hard to share. After he learns about his wife’s affair, he confronts his best friend. He is famous and living the life of luxury. But it all ends abruptly when his family commits him to a drug rehabilitation facility. Now reality sets in. His ex-girlfriend has come back in his life in hopes for a second chance. Because the breakup was so hard to get over, he reluctantly lets her in the door.